Told by the wife and four daughters of Nathan Price, a fierce evangelical Baptist who takes his family and mission to the Belgian Congo in 1959,The Poisonwood Bible is the story of one family’s tragic undoing and remarkable reconstruction over the course of three decades in postcolonial Africa. They carry with them all they believe they will need from home, but soon find that all of it – from garden seeds to Scripture – is calamitously transformed on African soil. Barbara Kingsolver was born in 1955, and grew up in rural Kentucky. She earned degrees in biology from DePauw University and the University of Arizona, and has worked as a freelance writer and author since 1985. At various times in her adult life she has lived in England, France, and the Canary Islands, and has worked in Europe, Africa, Asia, Mexico, and South America. She spent two decades in Tucson, Arizona, before moving to southwestern Virginia where she currently resides. Her books, in order of publication, are: The Bean Trees (1988), Homeland (1989), Holding the Line: Women in the Great Arizona Mine Strike (1989), Animal Dreams (1990), Another America (1992), Pigs in Heaven (1993), High Tide in Tucson (1995), The Poisonwood Bible (1998), Prodigal Summer (2000), Small Wonder (2002), Last Stand: America’s Virgin Lands, with photographer Annie Griffiths Belt (2002), Animal, Vegetable, Miracle: A Year of Food Life (2007), and The Lacuna (2009). She served as editor for Best American Short Stories 2001. Her books have been translated into more than two dozen languages, and have been adopted into the core literature curriculum in high schools and colleges throughout the nation. She has contributed to more than fifty literary anthologies, and her reviews and articles have appeared in most major U.S. newspapers and magazines. Kingsolver was named one the most important writers of the 20th Century by Writers Digest. In 2000 she received the National Humanities Medal, our country’s highest honor for service through the arts. Critical acclaim for her books includes multiple awards from the American Booksellers Association and the American Library Association, among many others. 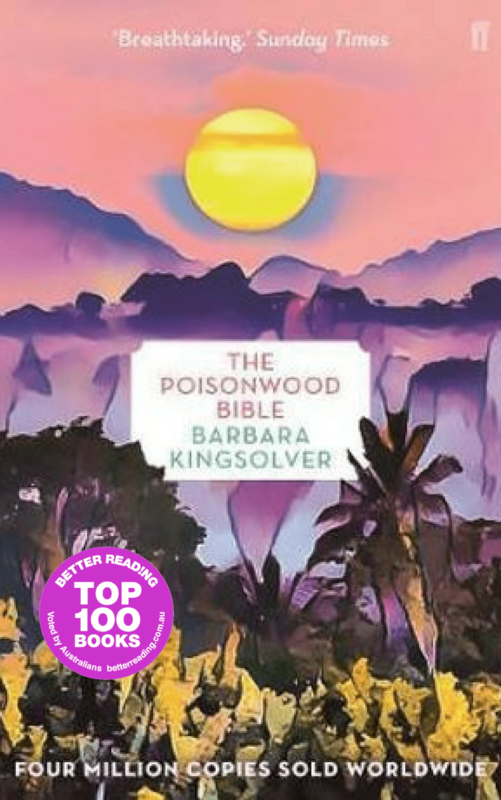 The Poisonwood Bible was a finalist for the Pulitzer Prize and the Orange Prize, and won the national book award of South Africa, before being named an Oprah Book Club selection. Animal, Vegetable, Miracle won numerous prizes including the James Beard award. The Lacuna won Britain's prestigious Orange Prize for Fiction in 2010. In 2011, Kingsolver was awarded the Dayton Literary Peace Prize for the body of her work. Kingsolver established the Bellwether Prize for Fiction, the nation's largest prize for an unpublished first novel, which since 1998 has helped to establish the careers of more than a half dozen new literary voices. Through a recent agreement, the prize has now become the PEN / Bellwether Prize for Socially Engaged Fiction. She has two daughters, Camille (born in 1987) and Lily (1996). Her husband, Steven Hopp, teaches environmental studies. Since June 2004, Barbara and her family have lived on a farm in southern Appalachia, where they raise an extensive vegetable garden and Icelandic sheep. Barbara believes her best work is accomplished through writing, raising her children, and being an active citizen of her own community. She is grateful for the good will and support of her readers.